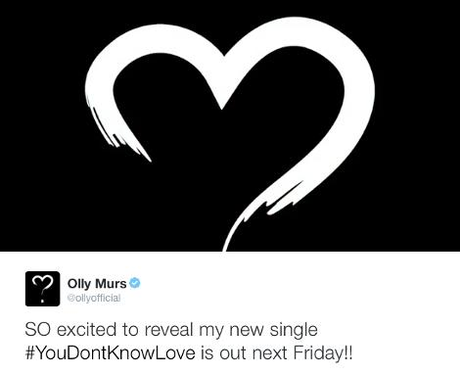 Olly Murs couldn't be more excited to share his new single 'You Don't Know Love'! 5. Olly Murs couldn't be more excited to share his new single 'You Don't Know Love'! And guess what, Olly - we couldn't be more excited to hear 'You Don't Know Love', so if it could be Friday, that would be great.